A warm and charming corner studio with gorgeous views. 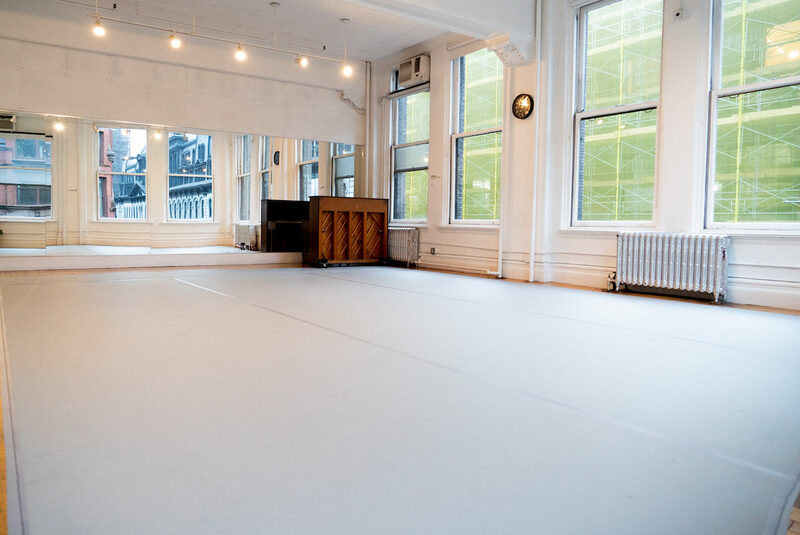 The space features abundant natural light from two full walls of large windows overlooking the intersection of Broadway and 19th Street. Located at Gibney’s 890 Broadway location in close proximity to the elevator, main office, and kitchen. All shoes are prohibited. 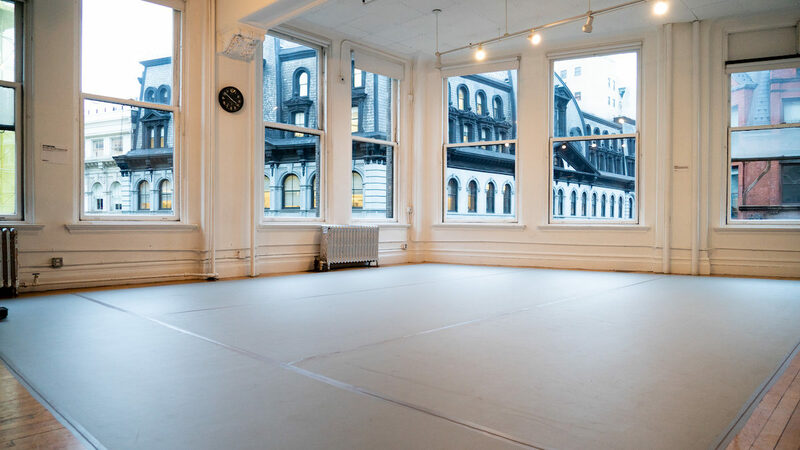 We at Gibney think the view from Studio 2 is one of the best in New York City. Over the years we have enjoyed taking in the sights across Broadway to Gus Solomon’s Studio at 889 Broadway, and across 19th Street to see the beautiful stonework and window displays of the ABC Carpet & Home building. One of our favorite memories of this space is the night the administrative staff gathered to look out the window when Barack Obama attended a dinner at ABC Kitchen.